2018 Budget Video Editing/Gaming Hybrid! The idea for this machine was to build a PC that optimizes video editing performance for a low cost, but also has some innate gaming ability. Most of the parts in this build can be had for under $1000 us dollars, which is pretty cheap for a PC that can chug through 4k video. This write-up is pretty much a direct transcript for the video above, so if you prefer videos over reading, watch that. Full benchmarks are inside the video as well. At the core of this build is the intel i7 8700 cpu. This is the non-k version, meaning it can’t be overclocked. Intel really stepped up their game on the coffee lake chips and the for the price I got it for, I’m more than happy to own one. A few weeks ago, eBay had a 20% off sitewide sale, and I was able to get this CPU on sale for $250 before tax, which is about $30 cheaper than a Ryzen 1700. I could have gone Ryzen for the extra two cores, and that is definitely something that you guys could swap out for if you intend to use this build. To cool the i7 8700, we have the Cryorig H7. Liquid cooling is expensive and still is a little ways out from being as reliable as air cooling, so we’re going to stick with air cooling for this budget build. The H7 is easy on the eyes, cheap, and is no slouch when it comes to cooling performance either. For the motherboard, we went with the Asus z370 Prime-A. With great reviews all the way around, a sweet looking board with Asus Aura RGB, a decent I/O with USB-C, and plenty of options for upgrading later on, I have no complaints whatsoever. The Fractal Design Meshify C is cheap, has tempered glass, a beautiful design, and plenty of cable management options. This really is my favorite case of 2018. 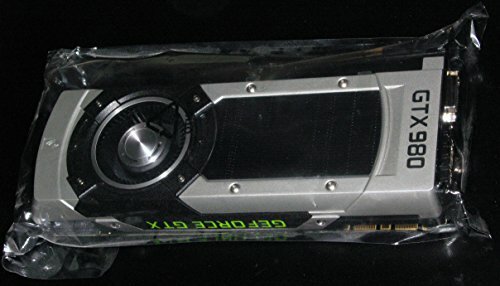 The GPU is the same one I’ve been using for about two years now, it’s the reference edition of the GTX 980. I got it used for under 250 dollars, and considering the current state of affairs in the GPU market…I’m going to ride it out until the GTX 2080s are released, which is supposed to be this summer. I’ve been speaking to a few different distributors and that’s what Nvidia has has told them, so I’m hoping that they’ll release on time. The GTX 980 is still a very decent card for gaming and is more than sufficient for video editing, so the card will be just fine for now. For the power supply, I went for the EVGA 600b. 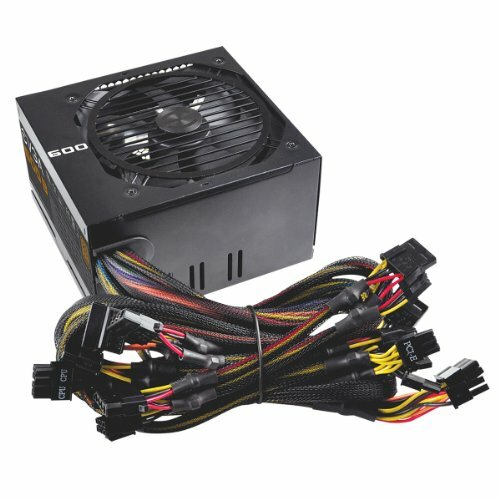 More than enough power for this build, reliable, and very cheap. The cords are incredibly ugly, but it can’t be helped. If I stretched my budget a bit, I would have been more than happy to grab one of their supernova models, but oh well. For the RAM, we have 24 gigabytes of DDR4 2666. One 16gb module, and two 4gb modules. Down the road, I could upgrade to 40gb of ram with an additional 16gb module, but with the current DDR4 prices, forget that for now. Finally for storage, I have a 250gb Samsung EVO SSD for the OS and program files, a 500gb HyperX Savage SSD for media storage, and 4 terrabytes total of storage on 3 hard drives for cache files, backup, and whatever else I need. Let me know what you think, and check out the video linked above for benchmarks and more! Thanks. Just waiting on the GTX 2080. Rumors and leaks all point to a 20XX naming scheme. It's necessary to change the gpu or only to make the "beast pc"?. I mean i have a gtx 1050 ti and i'm gonna buy the i7 8700 and i hope there's no problem using that gpu. Nice clean build. 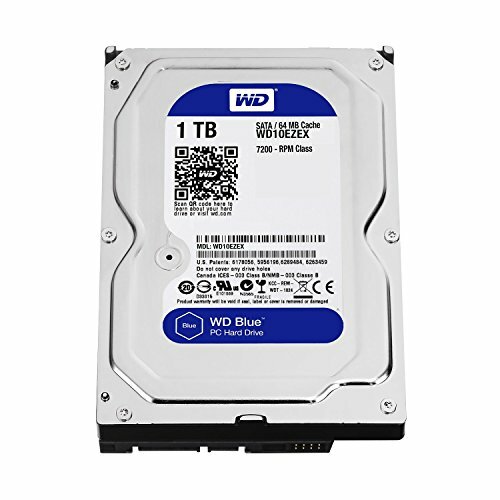 I am considering using that case in a build - any other thoughts? It's a great case. Liquid cooling options as well as HDD bays are limited though. Could you post a picture with the tempered glass panel on? Considering buying the meshify c and have the prime z270-a, want to see how it might look. Cool build! Great build! I'm seriously thinking of using this build for my own. Might get an 8-core cpu though. Thanks much for this! Can you enable Multicore enhancement in your bios with i7 8700? Budget build with no intention of overclocking. And I got the 8700 for $250. I am also planning to buy the 8700, and I have no plans of overclocking anytime soon. What kinds motherboards do you think I should be looking towards?